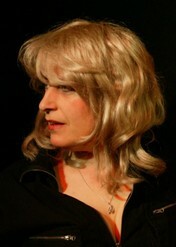 Award winning writer and performer Claire Dowie has a reputation for work that defies categorisation. tour to Europe America & UK. written and directed for the Drill Hall. the solo version - UK tour. four short stories live on tour. her first novel live on tour. 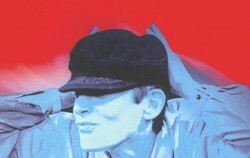 H TO HE (I’M TURNING INTO A MAN) The Drill Hall & UK tour. featured Jane Horrocks and Gwen Taylor. teleplay filmed by Central Children`s Television for EBU. a second series of five radio plays for the BBC broadcast May 2006. Is published in Italy by Gremese and in Germany by Merlin Verlag. Gremese have also published 2 collections of her plays in Italian. Claire`s plays continue to be performed regularly not only in English but also in Italian, Spanish, Portugese and German. 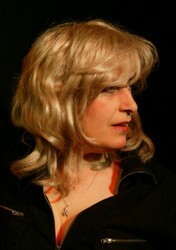 Claire has performed - H to He (I`m turning into a Man) - in the UK, America, Germany and Italy. There have been productions in Italian at Teatro Franco Parenti in Milan and German at the Deutsches Theater in Gottingen.